This is one of the easiest, the most interior friendly styles to choose from. It is suitable for any interior, can be combined with any wall and floor colour you like, and wood itself can come in plenty of different shades – even when it preserves its natural, original shade. To make the nursery more child-friendly, you can go with stylishly painted wood. Another great solution would be to paint walls into several bright colours, or even hire a professional decorator to take care of some creative wall art. Sure, it is a bit early to think of the baby’s favorite cartoon characters, but you can easily go with something neutral – like animals. Even though this kind of style is not exactly common in furniture for a baby’s nursery, more and more interior decoration solutions feature motley Indian looks. So, why not give it a shot and decorate your nursery in very bright and optimistic fashion? Another stylish solution would be to look for French furniture for a baby’s nursery. First of all, it is usually designed in genuine wood, which is a natural and eco friendly material. Next, it is usually designed in white (or very light) colour, and it is easy to combine / contrast it with any furniture arrangement you like. This is one of the less common styles of furniture for a baby’s nursery, but if your home already features antique interior, this is one of the best options you can go with – just combine dark furniture with light walls, and the room will look bright and stylish. 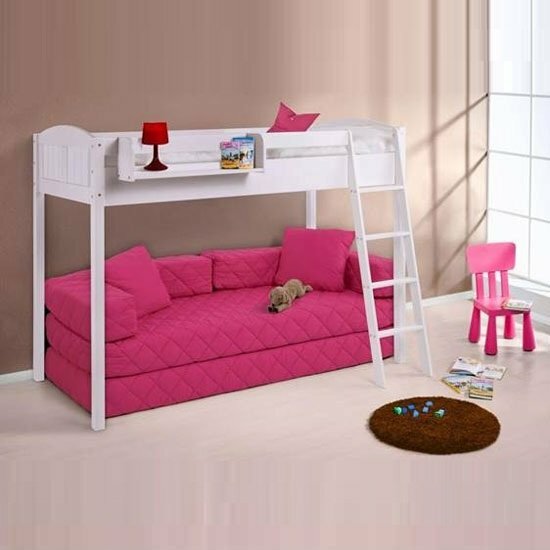 Finally, you can always consider high gloss furniture – it is so trendy right now that even children’s rooms are now being decorated in this cheerful and elegant style. Whichever type of furniture for a baby’s nursery you choose, make sure not to downsize on quality. Even though babies grow very quickly, and you will still have to replace it pretty soon, it is advisable to stick to fine quality, natural materials. And, if you would still like to get high quality furniture for a baby’s nursery that would have a relatively affordable price tag, choose in favour of big stores rather than small ones. First of all, the bigger the store is, the more affordable prices it usually offers. Plus, bigger stores introduce more generous discounts, and they offer more items at a discounted price. The discounts, at the same time, hardly ever compromise the quality.